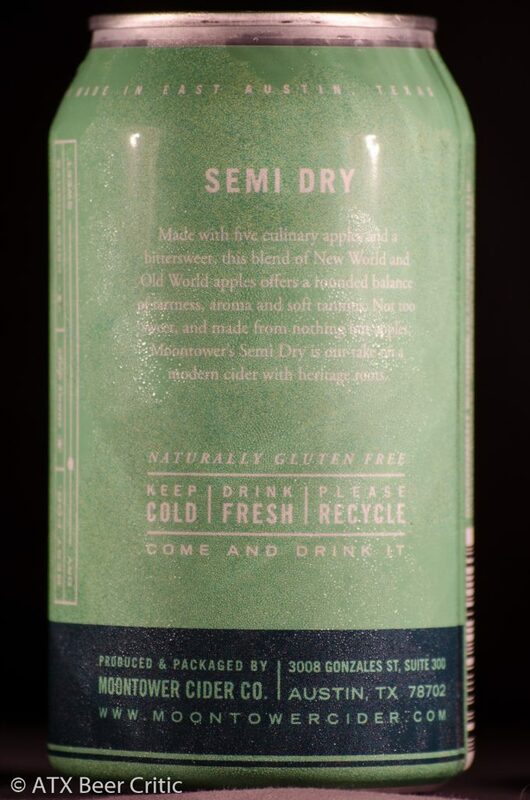 Made with five culinary apples and a bittersweet, this blend of New World and Old World apples offers a rounded balance of tartness, aroma and soft tannins. 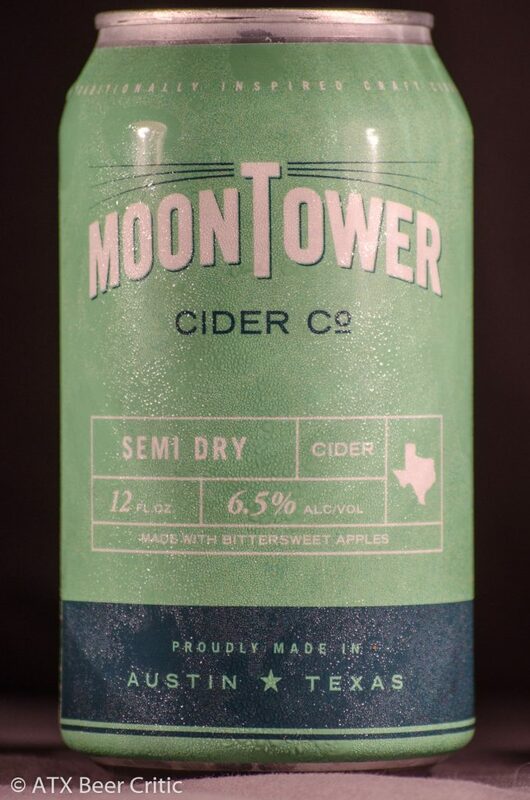 Not too sweet, and made from nothing but apples, Moontower’s Semi Dry is our take on a modern cider with heritage roots. Pours a light gold liquid. Clarity is low, with a strong haze. Moderate carbonation. A low sweetness with medium-low apple character. Low notes of apple skin. Slight phenolic present as it warms. A medium sweetness is joined by a low-medium apple character at the start of the taste. Fruit character is somewhat bright. Finishes with a low sweetness. There is also a slight acidity on the finish with a touch of astringency. Some chalkiness as well. 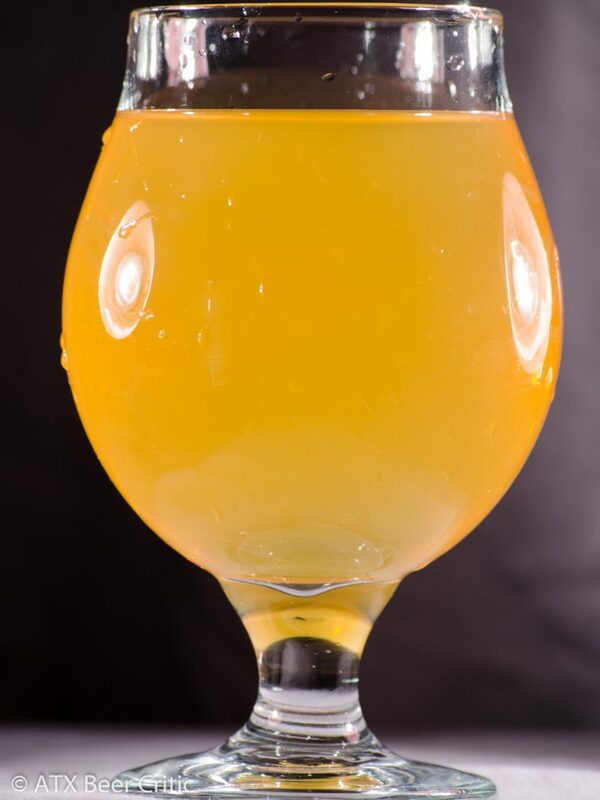 A well balanced cider. The sweetness level really works for me. 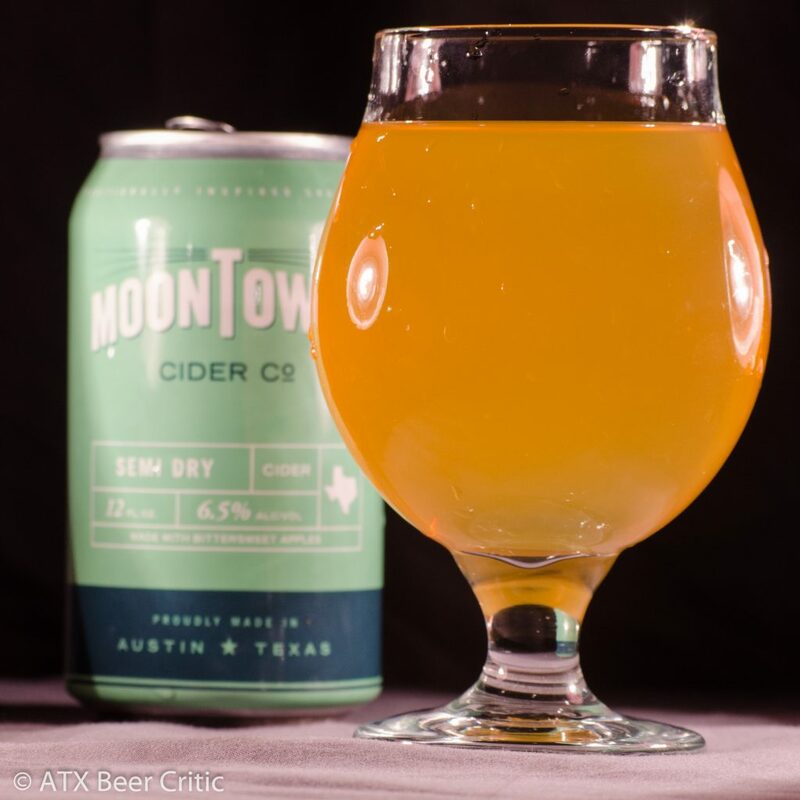 To improve, it could use a bit more carbonation. I’d like to see the finish cleaned up little as well. While not incredibly interesting, this cider really nails the acid and sweetness balance for my palate. Much like the Fairweather, I vastly prefer this to the Eastcider’s original. With that said, this wraps up our new cider tour. Now back to reviewing beers.